This chair was originally bright blue with rabbits and black/white checker pattern all on it. It was shew, ugly to say the least. This color. This isn't the chair, but I bought a few things that day that were all the same theme. 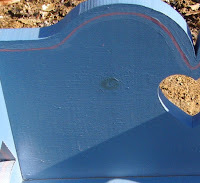 I decided to make it into a “time out” children’s chair. Since it is just the right size. 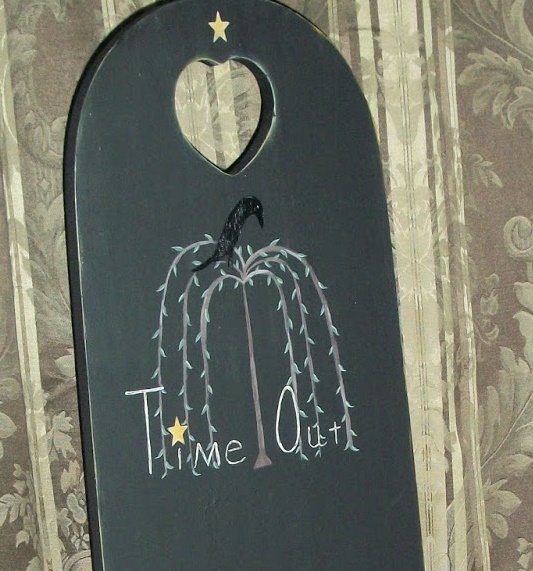 I once saw one of the “time out” chairs at a flea market in South Carolina and I loved the theme. I don’t have kids however, so I don’t feel guilty to make one. lol. I don't hardly ever find anything that I believe would look right with a willow tree on, but I decided to give this a shot, since the back is so high. I just free handed one. But I'm sure there are tons of stencils on eBay if you don't want to try it. 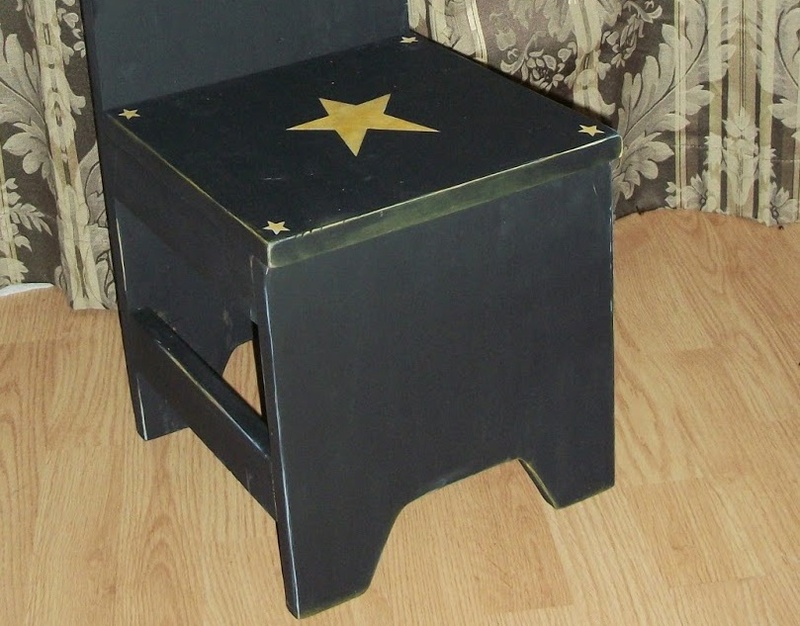 I also used a makeup sponge with some of the same color as the star, to rub on the edges of the chair. I think it gives it a little bit of a worn look and not so freshly painted. I’m not loving this, but I do think it looks cute. Since it's large and I don't want to ship from my online store, It’s being put up for sale in my Peddlers Mall booth.